In the 1720s, a French naval officer by the name of Gabriel de Clieu packed his personal belongings and several coffee seedlings onto a ship headed for Martinique, a French island in the Caribbean Sea. The difficult journey lasted for more than a month, but Monsieur de Clieu arrived safely and introduced coffee to the Western Hemisphere. Coffee beans and cuttings from De Clieu’s plants traveled to Central and South America within the next few years and Mexican coffee production was well underway by the end of the 1700s. Native Mexicans were the first to begin growing coffee for their own use. Later British, German and other European immigrants arrived and planted larger quantities for export. Mexican coffee increased in quality and quantity for the next two centuries. Unfortunately, the Mexican coffee market then collapsed due to political changes within the country and the closing of the government’s regulatory agency. This severe crisis lasted from 1989-2005 and cost many large and small-scale producers dearly. Mexico’s coffee producers have survived though, and since 2006 they have more than doubled their production and are reclaiming their place in the international coffee market. 1.5 Ounces 12 oz 5 Pound 24 oz 5 lb. 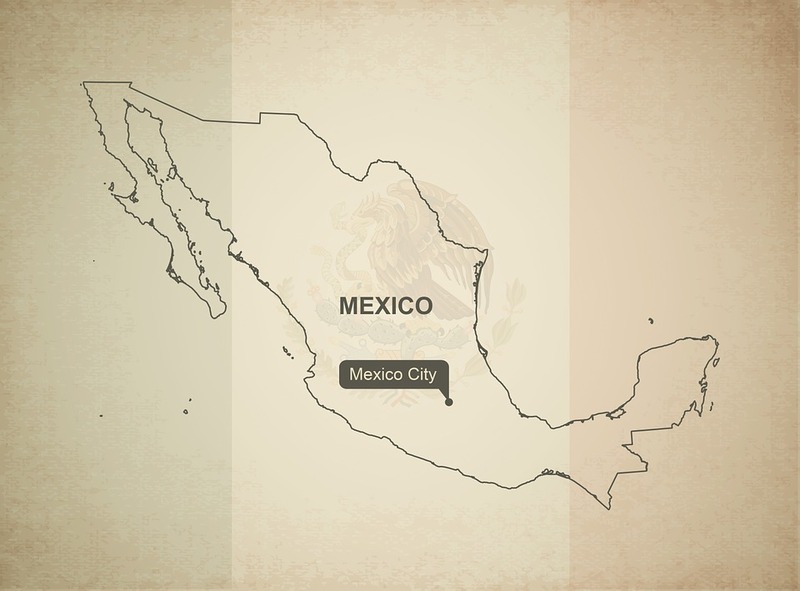 Sandwiched between the United States and Guatemala, Mexico owns approximately two million square kilometers of land that includes the mainland and numerous islands. The Tropic of Cancer divides the country in half making the north temperate and the south tropical. Two major and two minor mountain ranges crisscross Mexico. 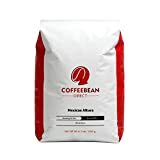 Wherever the mountains coincide with the warm temperatures and plentiful rains of the tropical south, there are ideal conditions to produce dense, flavorful coffee beans. Veracruz – Mexico produces about two hundred fifty thousand tons of coffee every year. 20% of this grows in Veracruz. Although this region abounds with high mountains, including the Pico de Orizaba which rises 18 thousand feet about sea level, most of Veracruz coffee is low-altitude. These beans result in a coffee that has a light body, intermediate acidity and mild flavor. Baristas often use Veracruz coffee in blends to complement more flavorful beans. Oaxaca – Another 50 thousand tons of Mexican coffee grows and blossoms in Oaxaca where the economy depends heavily on agriculture. The Pacific Ocean and the mountains of the Sierra Madre del Sur vary Oaxaca’s climate which makes it possible to cultivate peanuts, sugarcane and rice, as well as coffee. Oaxaca produces both low-altitude and high-altitude beans. Their “altura” or high-altitude beans have a captivating aroma, full body and chocolaty tones which makes them a popular single-origin coffee. Chiapas – Coffee plants arrived in Chiapas in the middle of the 18th century and soon became one of the state’s most important crops. Chiapas coffee now accounts for 60% of all Mexican coffee and it thrives on both small, manually worked plantations as well as fully mechanized plantations owned by large corporations. Most Chiapas coffee grows at high altitudes and is known for its balanced body and complex flavor that often includes citrus and nutty tones. In recent years, Chiapas coffee producers have begun investing heavily in organic coffee and their products are making their way into specialty stores around the world. Café de Olla – Years ago when pots and dishware were made of clay and cooks bent over open fires, Mexicans began brewing strong coffee with a stick of cinnamon and a few cloves. Once the coffee was done, they would sweeten it with raw cane sugar and add a small amount of milk. This clay pot coffee or café de olla continues to be a cherished tradition throughout the country and many cooks still insist on using a clay pot because it absorbs the flavors over time and seasons the coffee. 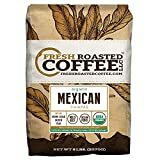 Mexican Coffee Cocktail – Like many other Latinos, Mexicans love to socialize, whether it is spending the evening with friends after work or partying to celebrate a special occasion. Tequila, a distilled spirit made from the blue agave plant, is often present at these events and sometimes it shares the limelight with coffee. Mexicans make a delightful cocktail by putting ½ to 1 oz. of Tequila and ½ oz. Kahlua, a coffee-flavored liqueur, in a glass and flambéing it. They then immediately pour in 1 cup of strong coffee and top it with a scoop of vanilla ice cream. These two beverages not only showcase Mexican coffee, but they will also give you a taste of Mexican history and culture.